Welcome to Precision Engineering Company. Manufacturer & Exporter of Conveyor Components & Spare Parts. An ISO 9001:2008 certified company, established in the year 2008, at Howrah. We have spread our wings to Indian Subcontinent and we serve to Engineering, Manufacturing & Construction Industries. Bhushan Steel Limited & Birla Corporation Limited are some of our prestigious clients and we are backed by In-house testing facility & maximum client satisfaction. 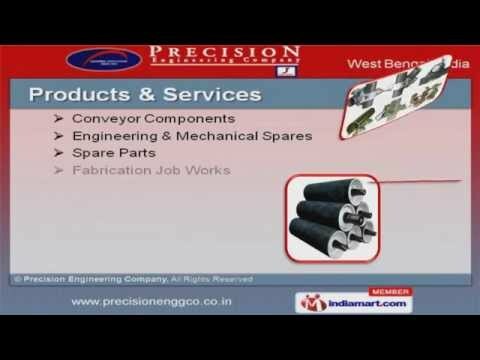 We offer a vast range of Conveyor Components, Fabrication Job Works & Spare Parts. Conveyor Components offered by us are well known for their durability. Our Engineering & Mechanical Spares that are widely acclaimed in the market. We offer Spare Parts that are extremely reliable. We also provide Fabrication Job Works that are a class apart. Along with that we offer Asbestos & Graphite Ropes that are cost effective.